What Is The Free Market Really About? Some people today loudly proclaim that the Free Market has failed. When they look around at companies that are on the verge of bankruptcy and also see the fraud and greed in other companies, they lose faith in what they view as capitalism. They run to the civil government for protection. They are like the hens, frightened by the baying of the guard dog, running to the fox for protection. The cure they seek is worst than the disease. Has the Free Market really failed? The fact is, it has never really been tried. The closest it came was shortly after the founding of America. With few government rules, America became known as the land of plenty. It developed a reputation that anyone who was willing to work hard could succeed and enjoy the fruit of their labours. Even in the limited way it was tried, it worked wonders! “The ‘free market’ is the name given to describe the marketplace ecosystem when it is free from aggression.” Dr. Mary Ruwart, Healing Our World, pg 22. Socialism is based on the satanic idea that we live in a win-lose world. 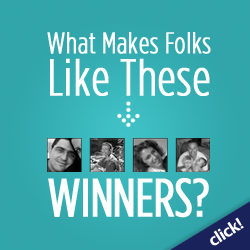 It promotes the idea that the only way some people can win is by others losing. The greedy businessmen or the selfish unions need to be controlled. The idea is that a small group of planners can tell what is best for everyone and violently enforce their wishes, if necessary, to bring everyone to their vision for Paradise. It is actually a denial of the Biblical doctrine of the sin nature of man, because it believes that once man enters the Paradise created by the civil government force will no longer be necessary, This new man will automatically want to do what is best for his fellowman. Canada, the United States, and just about every other country on this planet is headed in this direction. The chaos we see around is not the result of the Free Market, but the result of failed socialism. It will only get worse unless we return to a Free Market system. How does this system operate without central planners/controllers? The law of scarcity requires that the vast majority of things have prices to limit supply. Scarcity means that at zero price demand for the product will be greater than the supply available. [Air is one exception - demand does not exceed supply at zero cost - although some may pay for certain forms of air.] This means people can’t have everything. They have to make choices. This is part of being in God’s image. Animals do not have the ability to make the kind of choices that humans beings do. The people, as they make individual choices, control the market. This type of Market is simply the voluntary exchange of products or services between people. Nothing complicated. It means a buyer and a seller agree on what each considers to be a good deal and then they make the exchange. It is a win-win situation. Each voluntarily gives up something they value less for something they value more. For example: Joe’s Shoe Store sells running shoes for $50.00. If Bob wants the running shoes more than the $50.00 in his wallet, then he goes into the store and buys the running shoes. This works to Joe’s favour as well, since he wants the $50.00 more than he wants the running shoes. Both parties come out as winners. Here we see Moses trying to work out a Free Market deal. He did not expect something for nothing. He was willing to pay for food and water. He was looking for a win-win deal. The children of Esau and Moab sold the Israelites food and water. They arrived at a deal to allow them to pass through their lands. Unfortunately for Sihon, he was not interested in making a profit, or being a helper, or even in simply refusing the deal. Instead, he became an aggressor, attacked Israel, and was destroyed in self-defense. This is the case of a businessman who has extra grain in the time of shortage, but refuses to sell it because he knows he will get a higher price when the people are hungrier. Notice he is condemned for not being generous and kind [and nobody said he had to donate it], but for being selfish and greedy. The people will resent him for taking unfair advantage. However - very important - it does not say that the civil government should force him to sell or punish him for not selling. He will answer to God ultimately, and to the people in the good times when they shun his business for competitors. Such selfish and short term “profits” are usually lost in the long run. In none of these cases does the Bible support interference with people’s free choices. The Bible teaches that man is totally accountable for his actions [Matt. 12:36, Rom. 14:12, 1 Peter 4:5]. Our life is only on loan from God and He will judge how we use it. A Free Market system is based on this idea and allows people to make their own decisions and then to reap either profit or loss depending on the results of their decisions. It does not try to force all people into making what a few have determined that the “right” choice is. Interference in the Market restricts the right of people to make their choices before God. The Free Market is a harsh place for those who make unwise choices. It forces them to face the consequences of their actions. If they made mistakes, misjudgments, or foolish choices, then they will suffer for it. There will be no bailouts. It also gives great opportunity for success and recovery after a failure. People who do not want to take responsibility for their actions or who want others to constantly provide for them will not like a Free Market system. For example, Joe decides to open a shoe store in Histown. Histown is a small community, but he thinks it will support his business. If he is correct, people will come into his store and he will make a profit. If he is wrong, he will not sell enough shoes to cover his expenses. He will then suffer loss, have to close down, and perhaps be bankrupt. He has risked his time, finances, and other resources on this venture. It was his choice and the profit or loss will be his. 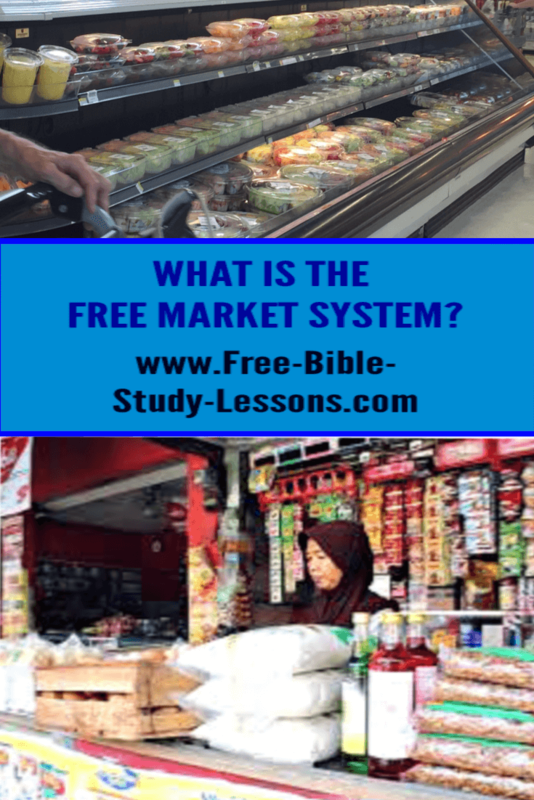 We should also note here that there is a difference between a Biblical Free Market system and the non-Biblical system promoted by some today. A non-Biblical Free Market system has no breaks on it and, in the long run, would cause as much damage as socialism. It would lead to anarchy and destruction just as socialism does. The destination is the same, the road is different. A Biblical Free Market system has the boundaries of God’s Law to protect the innocent and punish the guilty. It is the only system which allows maximum freedom without giving way to evil excesses. The Christian Social Theory page is dedicated to exploring this Biblical system and its practical applications. Every Christian needs to have a basic understanding of these issues.